What to look for when buying a used Toyota Tundra? The Toyota Tundra is a full-sized pickup truck that entered the market for the 2000 model year. Production of the truck has taken place in the United States since its inception, starting with Indiana before moving to Texas. The Tundra has been a consistently good seller for Toyota and was the first full-sized pickup truck to penetrate the market once dominated by the "Detroit Three" - Dodge, Ford, and General Motors. The Toyota Tundra has seen two generations of development with a third generation expected to debut in the near future. The first-generation Tundra was shown as a prototype called the T150 (playing off the Toyota T100 and Ford F-150 names) before becoming the Tundra upon production. The prototype name spurred a lawsuit from Ford, further clinching the need for Toyota to change the truck's name before its market entry. The first-generation Tundra, despite the predictions of critics, became Toyota's highest-selling initial vehicle sales and carried forward with consistent and growing sales from there. The first-generation Tundra had a six-cylinder and eight-cylinder engine offering, three body styles, and won awards from Motor Trend and Consumer Reports. The second-generation Toyota Tundra began selling in the 2007 model year. Many things changed about the truck with this debut as it became bigger and more capable. A new, larger V8 engine was introduced (5.7 liter) alongside the 4.7L that carried over and the 4.0-liter V6 that also continued as the base engine. Three cab lengths were offered as were three bed lengths and several trim levels. More accommodation for work use, including more glove-friendly body pieces and controls, was designed into the Tacoma. Towing and hauling capabilities were at or above par for the half-ton pickup truck class. The new Tundra was a solid hit with the full-sized truck market and quickly saw production equal to Toyota's total capacity for the truck. Although the Toyota Tundra has enjoyed a well-deserved reputation for reliability and durability, there have been roadblocks to that. The 2000-2003 models of the Tundra were subject to recall for a serious rust problem in their frame, but Toyota used the opportunity to solidify their rapport with customers and saw little blowback from the recall. Other issues commonly reported include general failures in secondary engine parts at high mileage (air pumps, charcoal canister) and similar problems expected from high-mileage pickups. Buyers should be aware that trucks subjected to heavy use are likely to have structural or mechanical problems when they reach high odometer readings. What Toyota Tundra model year and mileage can you get for your budget? The 2018 Toyota Tundra is a continuation of the full-size half-ton pickup truck introduced for this generation in 2015. The Tundra embodies Toyota's long-sought foothold in the American pickup truck market. While its sales are still near the bottom of the pack, the pack comprises only five automakers. Three of those are long-standing domestic makes with large volumes of fleet sales - something Toyota trucks aren't involved in. For 2018, Toyota refreshed the Tundra's styling and added a few tweaks to its strong looks. Toyota's Safety Sense advanced safety system is standard. A new TRD Sport package has been added as an option for the SR5 trim, and Toyota has removed the standard two-door cab from the lineup entirely. Configuration options in the 2018 Tundra range from cargo and bed length to cab configuration and interior amenities. Trim levels emphasize utility, comfort and off-road capability. For the buyer, the 2018 Toyota Tundra offers box-checking capability, a usable overall design and a strong reputation for reliability. The Tundra is not the flashiest or best in the market, but it satisfies all of the line items truck buyers want with no hassles. The Tundra has slowly gained its strong foothold in the American landscape of pickup trucks. Its sales figures are still below those of the traditional domestic makes, but brand loyalty and a strong reputation for dependability have kept the Tundra moving forward. So much so that Toyota has a difficult time building enough to meet sales demands. The 2017 Toyota Tundra carries on with revisions made to the truck a couple of years ago and the slight updates from last year. The 2017 Tundra has 50 configuration options, ranging from cargo bed length and cab configuration to interior amenities. Trim levels that emphasize utility, off-road capability and luxurious comfort are offered in the Tundra. The Tundra's shining points are its box-checking capability on every front, no-nonsense overall design, and the quiet way Toyota has built a core following for this truck in a very competitive US pickup truck market. All without offering anything beyond the Tundra's basic half-ton pickup capabilities. The Toyota Tundra is a long-lived full-sized pickup truck which has slowly gained acceptance on the American market. Truck buyers are a unique lot whose brand loyalty and bent towards heavy accessorization of their trucks makes them a very different market from the automotive norm. Breaking those traditions and building acceptance has been a long haul for Toyota, but the 2016 Toyota Tundra proves that they've managed to do that. New this year are small changes that include a modified front fascia on the SR5 lower trim level and the top-most 1794 Edition trim point. All Tundras equipped with the larger of the 8 cylinder engine options come with trailer brake controls as standard. 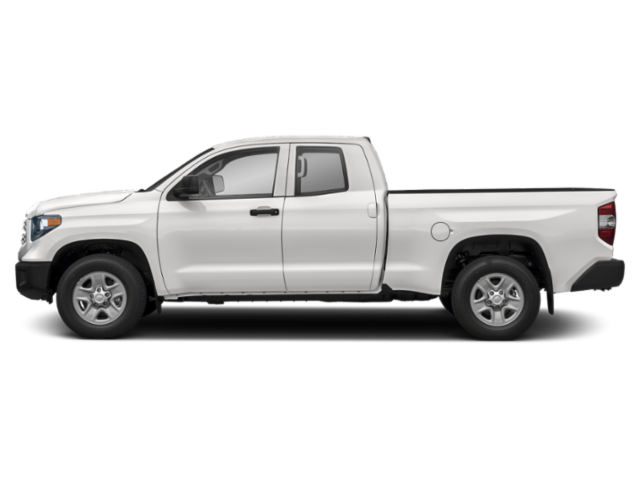 In all, the 2016 Toyota Tundra has fifty different configuration options that include available cargo bed lengths of up to 8.1 feet and towing ratings up to 10,500 pounds. Three cab configurations are available, starting with a two-door regular cab, a four-door extended cab, and a four-door crew cab (Regular, Double, and CrewMax respectively). Trim levels range from the base level SR to the highest-end Platinum and 1794 Edition. 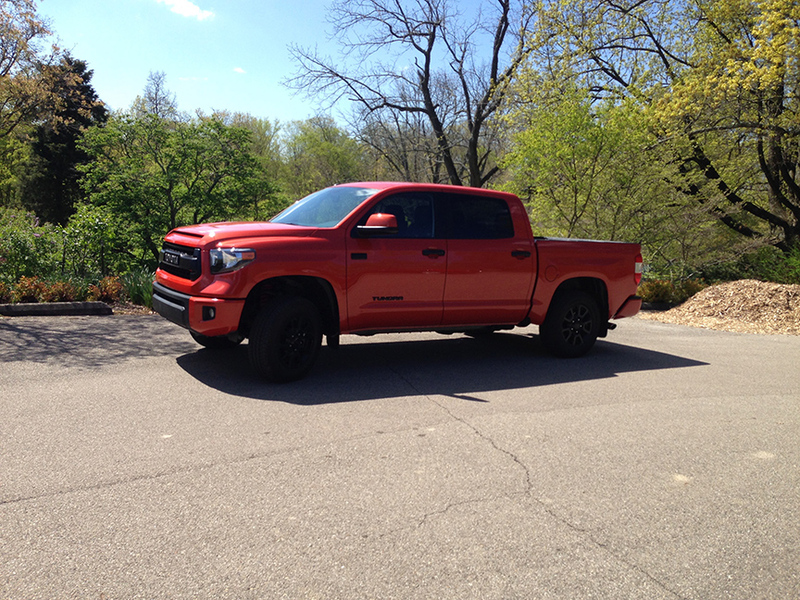 The TRD Pro offroad-centric package also continues into this model year. The 2013 Toyota Tundra is a full-size pickup truck that has no significant changes for the 2013 model year. A capable workhorse, the Tundra boasts strong V8 engines, good towing capability, rugged good looks and a variety of available packages.